Look for new parking meters and new pay station equipment in the downtown Walnut Creek parking garages this fall. The City is replacing old outdated equipment with state of the art technology to improve parking. The new meters will be bigger, brighter and more readable. 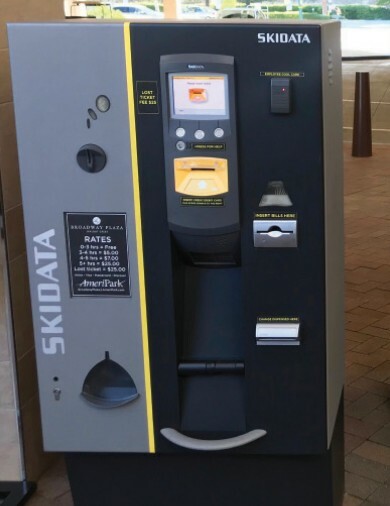 The parking garage equipment will feature contactless and pay by phone payments, illuminated gate arms, and improved special event parking at the Lesher Center Parking Garage. Can spend money on collecting more money but can’t fix the elevators. The elevators are so slow we always think they are broken again so we end up taking the stairs down from the fifth floor. Going back up is another problem. This is what earth has come to. Humans complaining about a 5-10 second elevator ride. If there is ever a power outage while you are in an elevator, you will wish you took the stairs. Lol how about waiting 10 minutes for a 4 floor elevator. It is not a tragedy but is uncalled for. Parking! The main reason I NEVER go to Walnut Creek any more! Haven’t for several years, because parking is so expensive and hard to find! Great. I live here and know where to park. And the Broadway Garage is only $.50/hr! Walnut Creek used to be such a charming town. Those parking garages are impossible to get in and out of, and metered parking (if you can find it) is as high as seven minutes for 25 cents. Sadly, the boutique shops and restaurants are being pushed out. There is really no longer a reason to visit. You and my dad should get together, he has a saying, “Anything you need in Walnut Creek, you can get somewhere else.” because of a parking ticket he got there 20 years ago. Good, the paystation at the garage on Locust has been on the fritz the last three times I’ve visited. It wasn’t very long ago that Walnut Creek had an update of “new, state of the art” parking meters. They didn’t last long. What WC city council has set up is re-investing parking revenue into parking infrastructure, areas that used to be covered by general funds. Now, with techie parking meters, some shiny object ~newer~ tech parking meters gets sold to the city every handful of years, and we all pay for it. It’s self perpetuating, and leads to more tracking, less privacy, higher costs and really, no one is pleased except the vendors of the new system. With the current set of foaming-at-the-mouth, pro-growth, over-build the city group-think that the council thinks it has some bizarre mandate to implement, don’t expect anything to improve. The current set of candidates for the 2 open seats does not appear to offer hope, but step 1… retire Cindy Silva. Good on you. Some of us remember that the final chunk of funds for Cindy’s luxury library was produced by a deal they made to borrow money against future parking revenue. At the soccer game on Hutchinson rd last weekend the WC parking cops were there giving out $45 parking tickets. WC is such a rip off. Invite teams from Dublin to play at a field with very little parking and then sock it to them because their parents didn’t notice the small signs. And yes, we’ve had enough of Cindy Silva. Made me laugh. These don’t improve parking. They at best, improve payments options for parking. Too much traffic in Walnut Creek. I shop elsewhere. YOUR hard earned dollars at work supporting workers in Switzerland, Austria, Brazil…uh-huh. OK, so, #WALKAWAY. The people spending your money hate you! Wake up. Just another reason to avoid downtown Walnut Creek. Next post: The Water Cooler – What’s Your All-Time Favorite Television Game Show?